Check out my poster going out to local coffee shops and bookstores in Colorado! I am pleased to announce my first set of works published in e-book form. 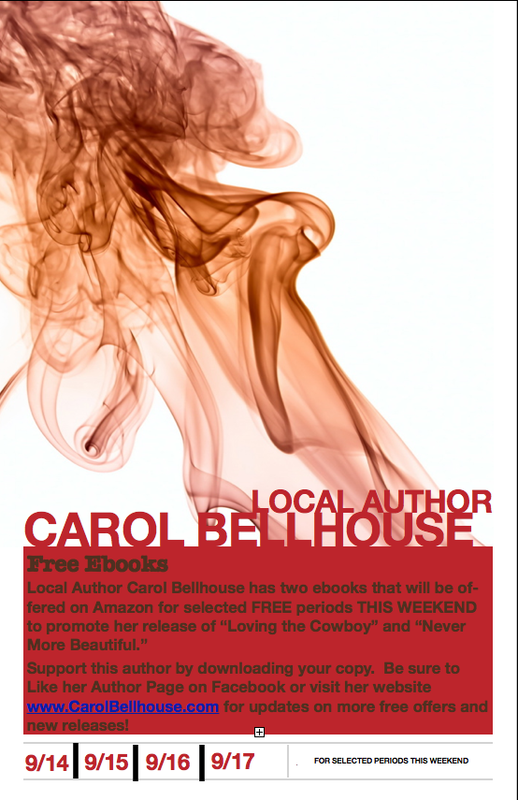 Please visit the Amazon bookstore for copies of Loving the Cowboy and Never More Beautiful. They are available for purchase at $0.99 per copy and are free to borrow for amazon prime members. Please subscribe to my blog for news on upcoming projects and “free days” for my titles on Amazon.